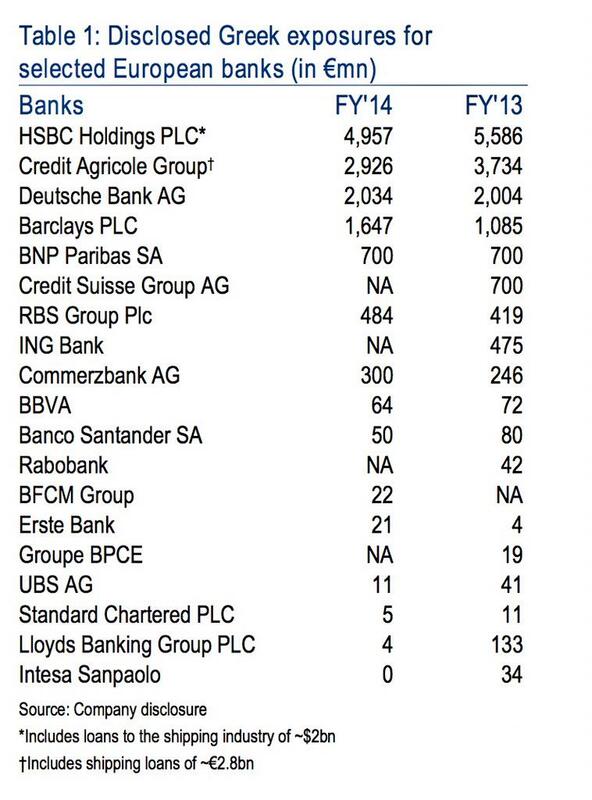 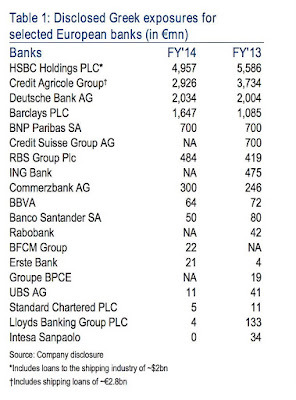 Note increased (speculative) exposures at Deutsche and Barclays, RBS and Commerzbank... which kinda jars with the conventional wisdom of uniformly reduced exposures. 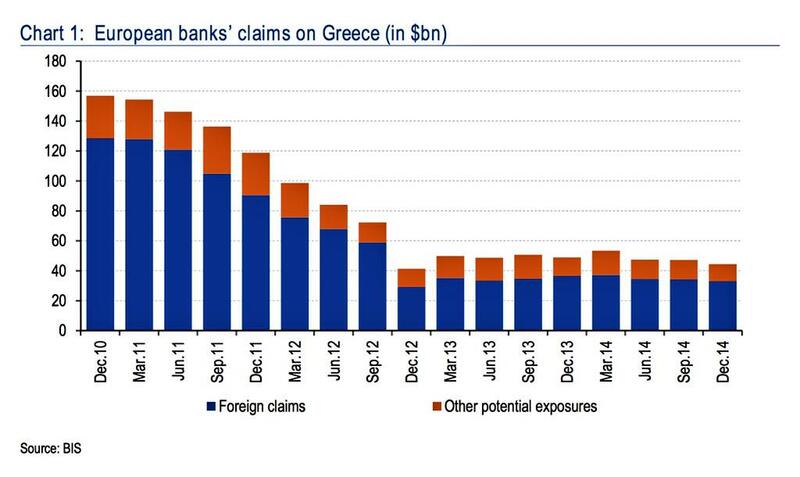 Total end of 2014 exposures were at USD44.5 billion, which is basically marginally down on Q4 2012-Q4 2014 period. You can see pre-crisis debt flows within the Euro area here: http://trueeconomics.blogspot.ie/2014/12/27122014-geography-of-euro-area-debt.html.